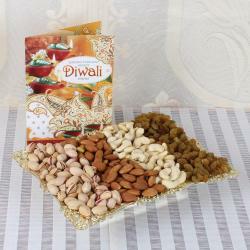 Product Consists: Diwali Greeting Card, Assorted Dry Fruits (Almond, Cashew, Raisin) (Weight: 300 gm) in a Basket along with Set of 2 Designer Floting Diya with Tea Light Candle. 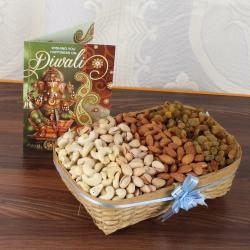 Giftacrossindia.com has a combination of exclusive collection of Diwali gift item will definitely impress all with its quality. 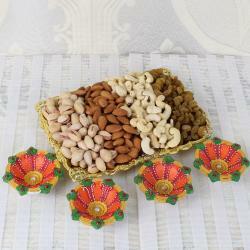 It is special gift item which is all set to give a treat of awesome taste and presenting to the receiver. Diwali is one of the famous event or festival which is celebrated by many Indian families by performing traditional activities with their friends and family members. This Festival celebration is incomplete without lights of traditional diya. 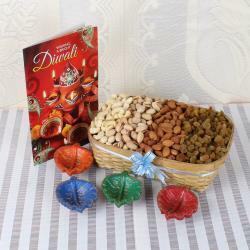 This amazing hamper is bound to make your loved ones happy and make their Diwali celebration special. So go ahead and place your order now. 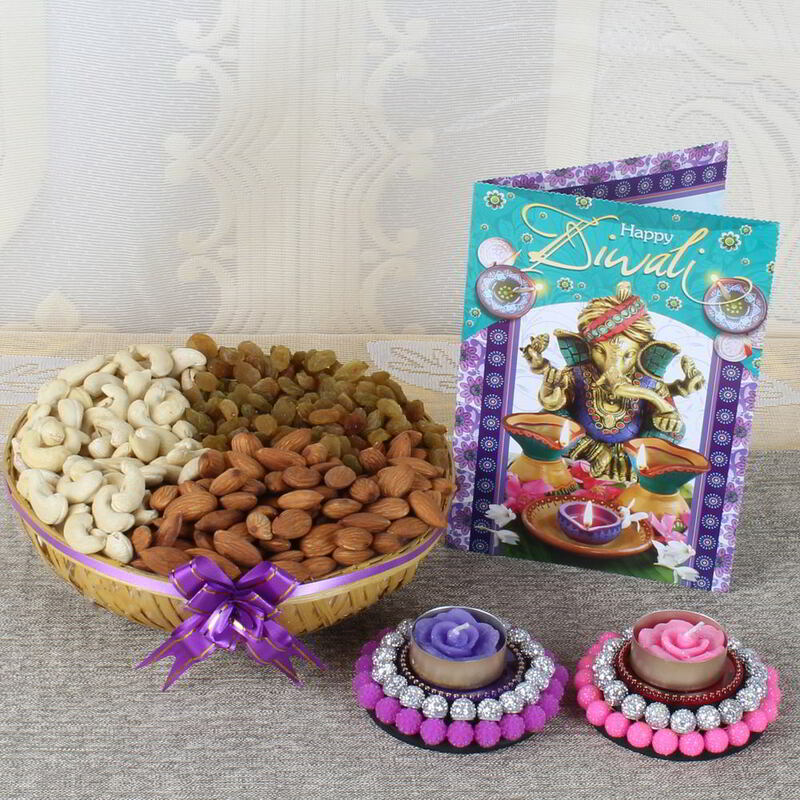 Product Includes: Diwali Greeting Card, Assorted Dry Fruits (Almond, Cashew, Raisin) Weight: 300 gm in a Basket along with Set of 2 Designer Floting Diya with Tea Light Candle.